Hello! Somehow it is November. I don’t know how this whole time moving forward thing keeps happening at this speed! The train needs to slow the heck down! To celebrate, we are having a Thankful Hearts extravaganza starting today and I get to help kick it off with this post! Isn’t it pretty? Our cover designer, Victoria Austen-Young, always makes us the loveliest things! Make sure to check out the list of upcoming posts from my fellow Holidays with Jane authors over on Indie Jane Press. You can enter our giveaway at the bottom of this post or on that original post as well. Now onto my (brief but awesome) post about heroines! Kate Moore knows a lot about softball and sass…but she’s clueless when it comes to guys. Especially smart, cute, worldly guys like Henry Taylor. When Henry invites her home for Thanksgiving, Kate is over the moon. But will her propensity for acting first and thinking later mess up her chances with Henry? 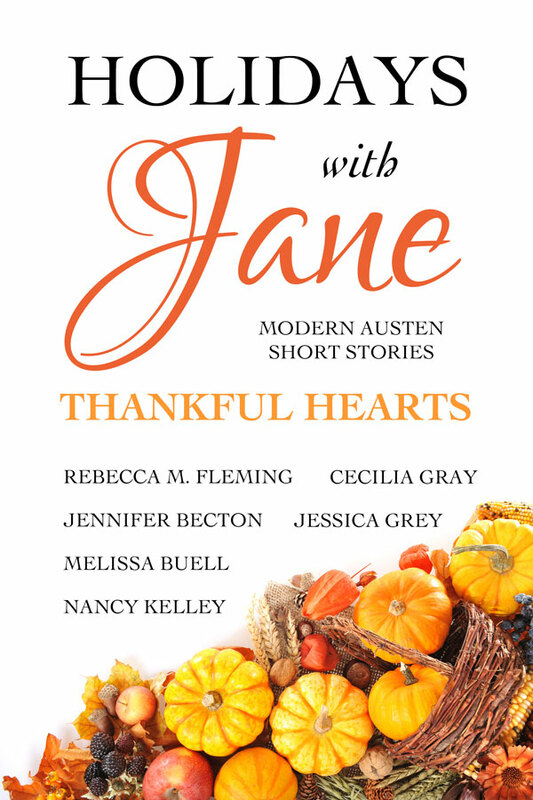 In this new collection of Thanksgiving themed, Austen-inspired stories, I got to adapt Northanger Abbey (and yes, there are Cary Grant references in this novella). 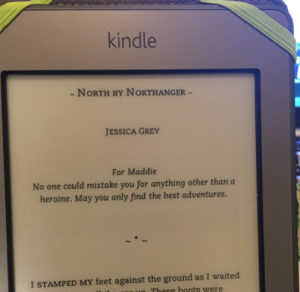 NA is one of my favorite Austen novels (top three: Persuasion, Pride and Prejudice, Northanger Abbey), and one of the reasons is that it’s so damn funny. It’s also definitely a meta-fiction. Jane was before her time and postmodern as heck in this novel! Of course Henry Tilney is awesomesauce, but the best part of Northanger Abbey is Catherine Morland and Austen’s commentary on heroines. As I was writing my version of Catherine – Kate Moore – I realized that out of all Austen’s heroines, I am probably the most like Catherine. When we think of Catherine, we think of a silly girl who is a bit naïve and let’s her imagination run away with her. That is all true, but she also is sweet, caring, trusting (often of the wrong people), good-hearted person who really just wants to be happy in life. Every girl wants to be the heroine of her own story. The best part about Austen’s Catherine is that in spite of Jane’s gentle mocking, she truly does end up a heroine. Not of a gothic novel, but of her own enduring romance. Normal girls can have happy endings (or beginnings) too, and Catherine is truly human, a little bit silly, but also so very normal. The best part of writing North by Northanger was realizing it’s OKAY to be a Catherine, you just need to guard your heart against the John Thorpes of the world. Luckily, Henry Tilneys do truly still exist. Which is your favorite Austen heroine? Let me know in the comments and make sure to enter our fantastic giveaway so you can win Holidays with Jane: Thankful Hearts for yourself!